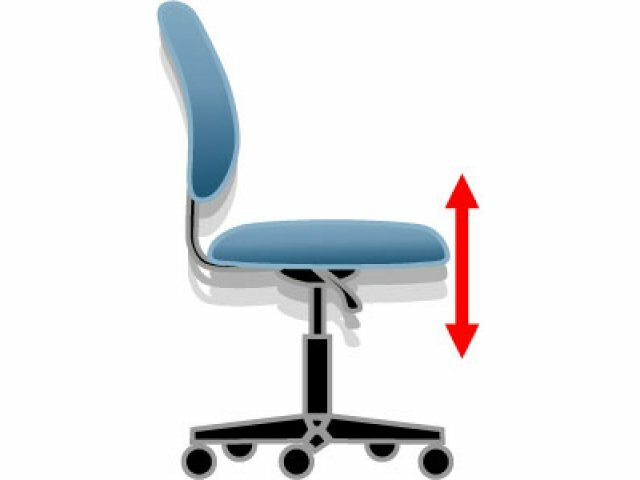 The Big and Tall Executive Conference Chair makes negotiations and mergers more comfortable than ever. 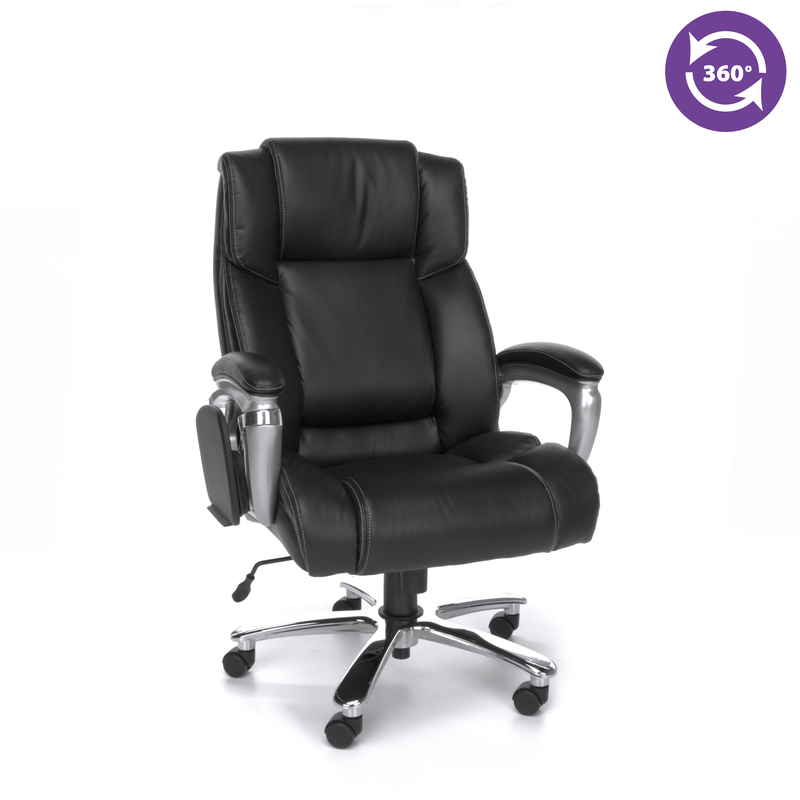 With an unbeatable combination of support and class, this is the office chair CEOs dream about. 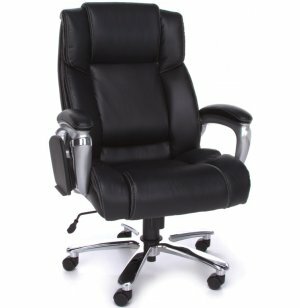 An adjustable-height headrest and adjustable body bolsters provide a custom ergonomic fit for the hardworking professional. With a 400 pound weight capacity and almost 24" inches between the arms, almost anyone can enjoy executive comfort. 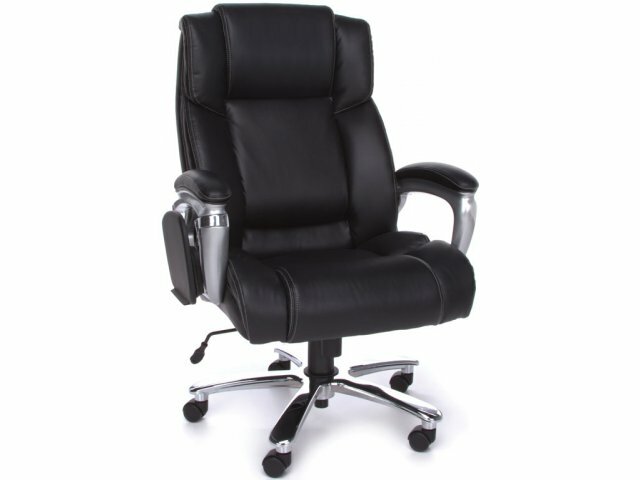 This executive chair will fill your office or conference room with posh modern luxury. The black bonded leather looks and feels great. A tuck-away tablet lets a professional work on a mobile device during conferences and meetings, without being confined to a table. 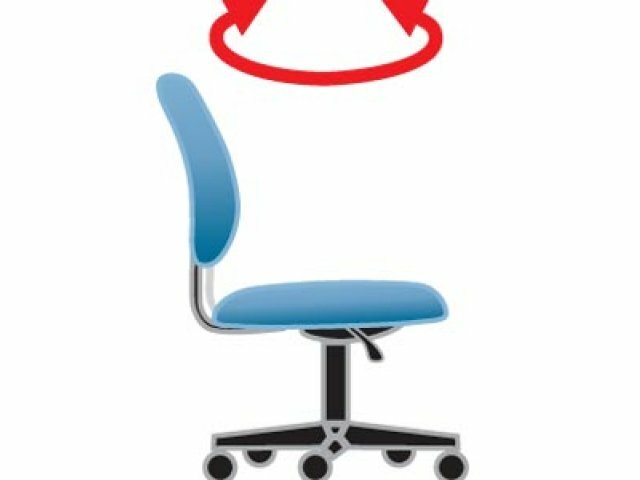 This executive conference chair is a must-have for the boardroom of any cutting-edge company. Heavy Duty: A 400 pound capacity and almost 24" inches between the arms accommodate almost anyone.